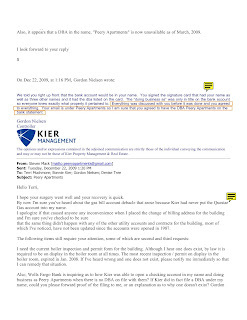 After my contract with Kier Management terminated on November 30, 2009, Kier continued to generate checks on the building's bank account, so I had to close the existing accounts and attempt to open new ones, with new account numbers. On December 22, 2009, I went into Wells Fargo Bank to make the change and they couldn't have been more accommodating. The Business Banking representative closed the 2 existing accounts that Kier continued generating checks from, and set out getting replacement accounts opened. 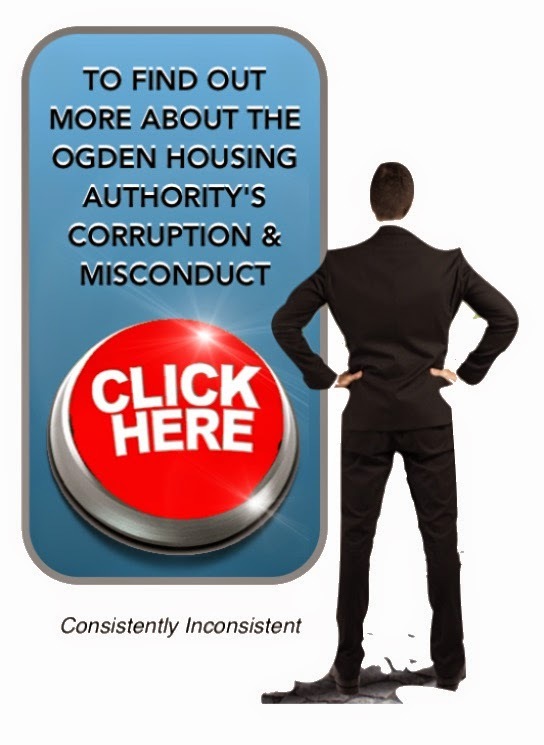 caused a department of the U.S. Government (HUD) to pay out hundreds of thousands of dollars to a company that didn't legally exist... for 4 years. 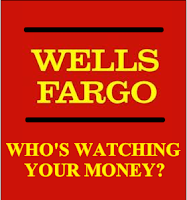 As per Federal Banking Law, Wells Fargo refused to open the accounts for me. Unless your name happens to be "Kier"
Permitting these accounts to remain open for over 4 years. Under Federal Banking law, all DBA business checking accounts must have proof of a DBA filing on file with the bank. Federal law further dictates that if proof of a DBA filing is not received by the bank, the account must be closed within 30 days. 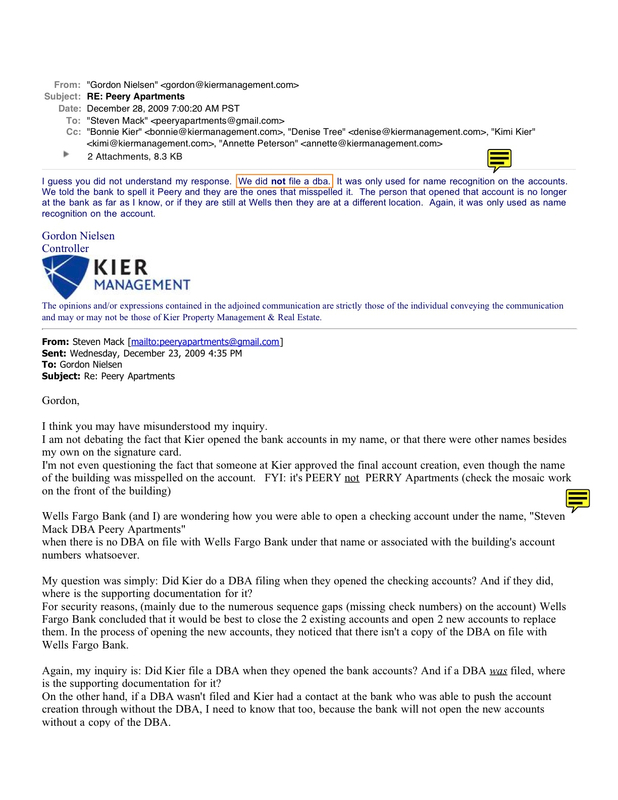 Somehow Kier Management, (with the assistance of James Urie at Wells Fargo Bank) , was able to open 2 DBA checking accounts, and was able to keep them open FOR 4-YEARS ... without filing a DBA for either account. I went back to the same Wells Fargo Bank to show the branch manager the video above and to demand an explanation as to why Wells Fargo Bank refused to open these accounts for me without proof of a DBA filing, yet they violated Federal Banking Law and opened the same type of accounts for Kier, without requiring proof of a DBA filing from them and further permitted these accounts to remain open for 4 years without notifying the account holder that the accounts were not in good standing because the required supporting documentation had never been provided. 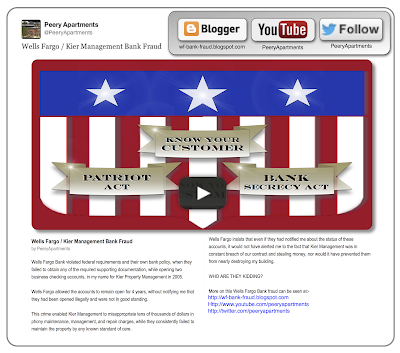 Wells Fargo was outraged that I had video taped proof that they had broken the law and demanded that I remove the video from this site and from YouTube also. 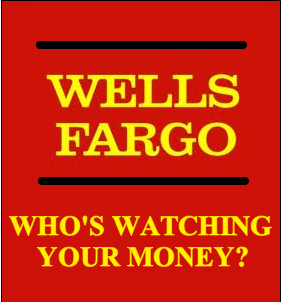 Make a public admission that Wells Fargo Bank violated Federal Banking Laws by opening these accounts for Kier Management and that due to these illegal banking practices, Kier Property Management and Wells Fargo Bank, caused a department of the U.S. Government (HUD) to pay out hundreds of thousands of dollars to a company that didn't legally exist for 4 years. .... 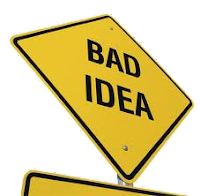 I concluded that the lack of a DBA filing was yet another, in a long line of Kier's numerous screw ups and attempted to file the DBA's myself. 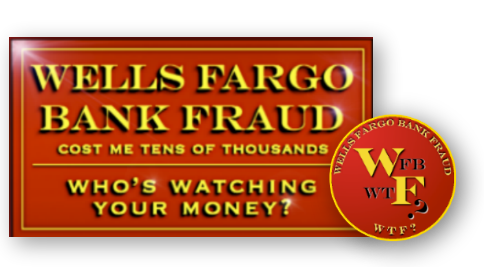 Wells Fargo Bank, violated Federal Banking law and allowed these accounts to remain open for 4-years, without notifying the account holder. 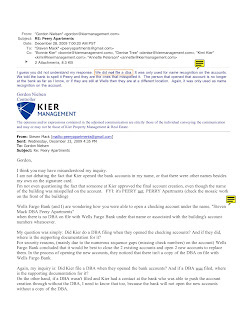 Had Wells Fargo Bank followed Federal Banking law and closed these accounts as required by law, I would have likely discovered Kier's negligence and mismanagement of my building LONG before they had run it into the ground. 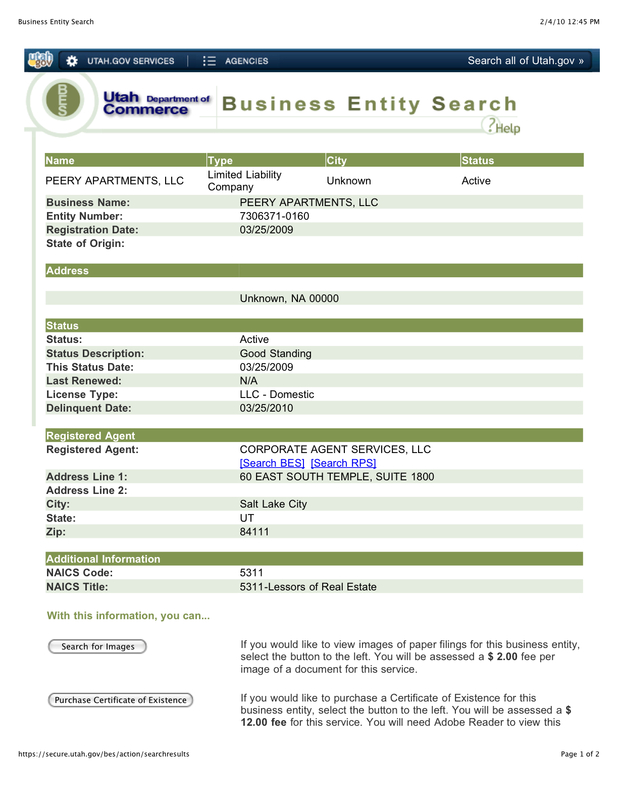 Needless to say, I was a little outraged over the loss of the DBA and the name, "Peery Apartments" in the State of Utah. When I bought this building, it was marketed to me as an Historic Landmark, appearing on the National Register of Historic Places, under the name, "Peery Apartments". The Peery name holds a certain amount of historic value in the State of Utah and especially in the City of Ogden, as one of the more prominent business families in Ogden at the turn of the century. The name, "Peery" also enjoys the prestige of being associated with, "Peery's Egyptian Theatre". Located less than a block away and considered to be one of the top 3 examples of Egyptian themed theaters in the entire country, Peery's Egyptian Theatre was designed and constructed by the prestigious architectural firm of, Smith & Hogdson, the same firm that had built the Peery Apartments in 1910. 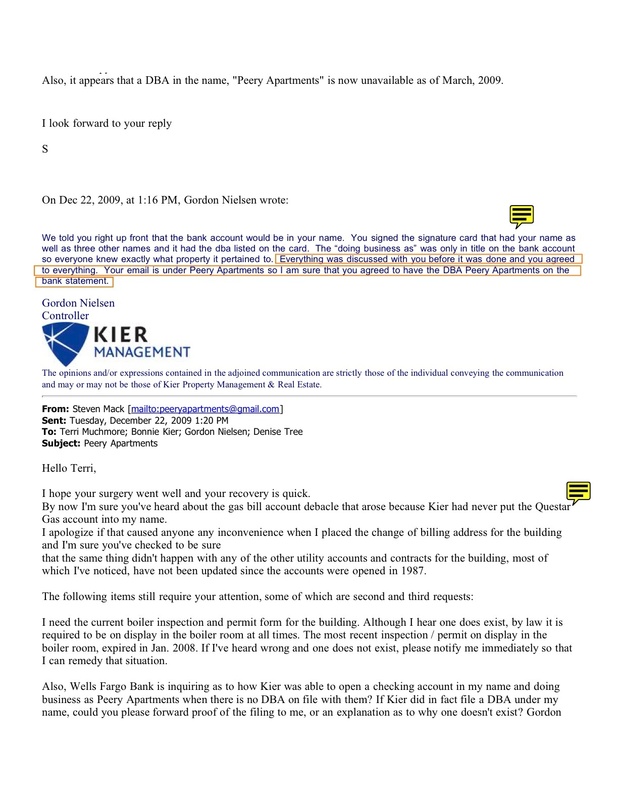 In this email to Terri Muchmore, Gordon Neilson (Kier CFO) responds for her, with the admission that Kier never filed the DBA's in order to legally open these checking accounts. Neilson's apparent misconceptions on banking practices become clear as he is obviously under the impression that it is permissible to open a DBA checking account without the required, supporting documentation, provided that you use the account for, "name recognition only" and not as the primary checking account for the business.... Oh wait.....Oops!! Neilsen's misconceptions on banking and his extreme paranoia and incoherence become painfully obvious in this email. Neilson is evidently under the impression that having an email address in the name, "Peery Apartments" is all the supporting documentation one needs, in order to open a business checking account in the same name. 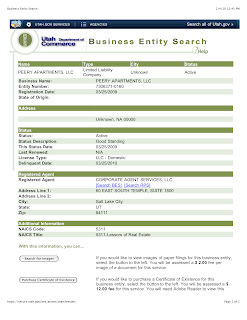 In this copy of a Business Entity Search, you can see that the name, "Peery Apartments" was taken on March 25, 2009... Just 8 months prior to the termination of my 4 year, disasterous contract with Kier.